Looking for an experienced Fencing company for your home or corporate projects? You have come to the right place, here at Hughes Fencing we are leaders of our industry. Take advantage of our experience and expertise as we assist you in your upcoming project. We are dedicated to our craft and no one cares more about the final product then we do. Call us today to join our growing list of happy and satisfied customers. Your Albany, GA fence installation and repair professional will work with you to create your ideal fence. Find a fence contractor in Albany, GA on Houzz. 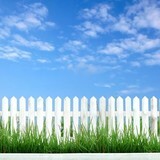 Narrow your search in the Professionals section of the website to Albany, GA fence contractors. You can also look through Albany, GA photos to find examples of fencing and gates that you like, then contact the professional who worked on them.